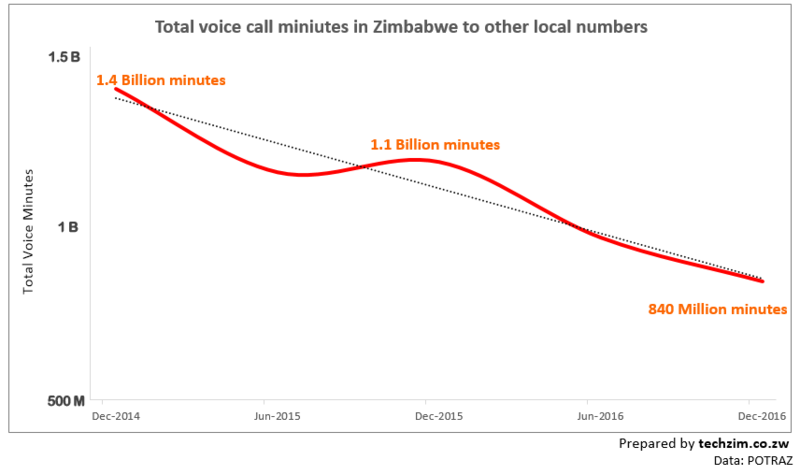 The number of voice call minutes made in Zimbabwe has continuing to tumble as more and more people resort to WhatsApp for their voice calls. 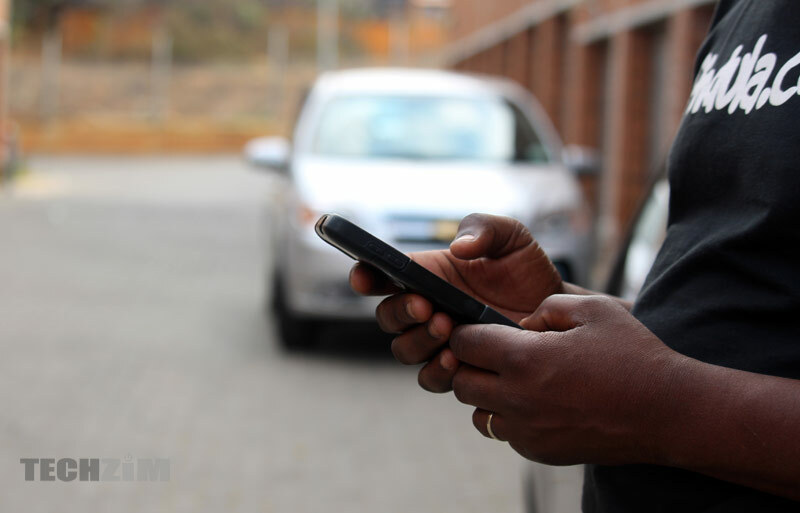 A report by Zimbabwe’s telecoms regulatory body, POTRAZ, that Techzim has received shows that there was an 8.6% drop in calls made by people using their regular mobile numbers. The report covers the 3 months from October to December 2016, and compares the telecoms usage numbers to those of the previous quarter. In the 3rd quarter of 2016, the phone calls made in Zimbabwe to other Zimbabwean phone numbers totalled 923,465,449. This number reduced to 843,897,116 in the fourth quarter. The they-are-now-using-WhatsApp theory is backed by the increase of amount of data processed in the quarter – 19% – where voice is declining. Ofcourse you don’t need to look further than your own usage patterns. Are you making more WhatsApp calls now than you did in the past? It’s tiring writing the same story we have written these past 3 years. The story about mobile operators finding themselves in situation where the decline in voice calls means decline in revenue. They simply don’t get the same money from a one minute WhatsApp call, that they used to from the traditional voice call. As usual, the operators are mourning about the losses in revenue this has caused. Government too is complaining – they’ve lost tax dollars. They – Econet on one side, and government with its two operators (Telecel and NetOne) on the other – tried to collude to raise the data tariffs, but it failed eventually. Econet saw an opportunity to make a killing in a very short time as they traditionally do. Government on the other hand, noticing the flaw in Econet’s appetite, couldn’t miss the perfect opportunity to score political points. The grand plan fell apart. So they are still complaining. At some point you need to innovate or risk getting left behind. As PW Botha said: Adapt or die. You cannot continue to do the same thing and expect to be raking in dollars. The innovation cycle is now shorter and more brutal. Government should scrap away all it’s restrictive legislation. Whatsapp would have been illegal if it had been conceived and created in Zimbabwe, yet it is perfectly legal to download and use it. If a Zim startup had come up with the idea they would have been bombarded with onerous licence requirements. What message are they sending? LSK you are always head on with the latest in Tech. Cant see the Q4 report on your site is it now available? Which are cheaper traditional calls or what sap calls? depends on operators technology 0 cost to produce a call but cost in calling off net, with better tech voice call is negligible the cost is probably 0. whats app calls (data) operator pays for bandwidth from teir 1 supplier E.g. $5000 per month for 155.52 Mbit/s (STM1) about 95% is used for consumers and network resources to access the internet online, 5% to run intranet in network. The Mobile Network Operators need to stop whining like spoilt brats and innovate. How do you expect a business model that has largely been unchanged for over 20 years to remain profitable? What they need to be doing is funding or acquiring businesses that make money from OTT services instead of kuti nyaudza about their nostalgia for the hey days. Pull up you socks mhani!